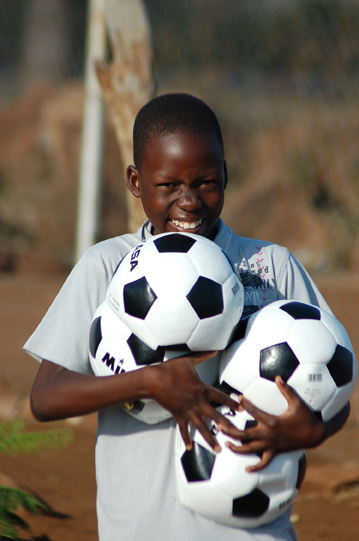 New soccer balls for the Hluvukani Blackbirds! Our first successful fundraising project on Betterplace was to buy the Blackbirds some new practice and match soccer balls. Prior to this the teams had to share one ball between 130 boys – not very easy to practice, so the new balls mean that the practice sessions are much more effective!